Short and to the point, The Montecristo Half Corona is a premium classic that offers all of the rich, smooth, and creamy flavors of its larger counterparts in a small and flavorful size. 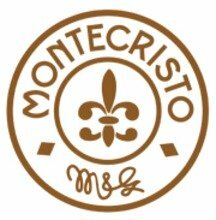 Delight in the Montecristo tradition of excellence with this perfect morning or mid-day smoke. The Half Corona is packed with our convenient 5-pack selection. These were the worst cigars I have had. I am on my third one and only 1 was decent. 2nd one was way too tight and draw was weak. 3rd one was cracked in multiple places and would not stay lit. Very disappointed. This shorty is perfect for a quick draw at lunch. Consistantly perfect aperitif. Just exactly what I enjoy in a great smoke! Flavorful, perfect construction and consistent every time. One of my favorite quick smokes. Easy light/medium smoke with flavor. Alway my go to when I am on the move. The Montecristo is a slightly sweet and spicy cigar. Burns a little on the retrohale, but normal puffs are good. Great compact smoke with full flavor. Even burn. Mild flavor. Great cigar. Goes good with your morning coffee. These little guys age perfectly. Tight roll, great draw, nice little stick. Nice cigar, short smoke but rich profile. Very well made with perfect draw and burn. Lots of flavor and rich smoke. Always a good option, and relatively cheap considering what you get. Despite small size has big favor and smokes longer than one would expect. A great go-to smoke at a good price. I love Monte! This cigar is my morning smoke and it always burns well, the draw is good and the construction is flawless. Good for late morning or early afternoon. When I have 35 minutes, they foot the bill. A great small cigar. I am a light smoker, and don't want anything too overpowering as far as diameter and length. This gives me a good 15-20 minutes, and that's all I want. I trust Montecristo; great taste, and burns very evenly. Very well made for the money.